This is a view of the disused Flint signal box shortly before it was demolished. Flint box saw little use and was only retained to work a trailing crossover. 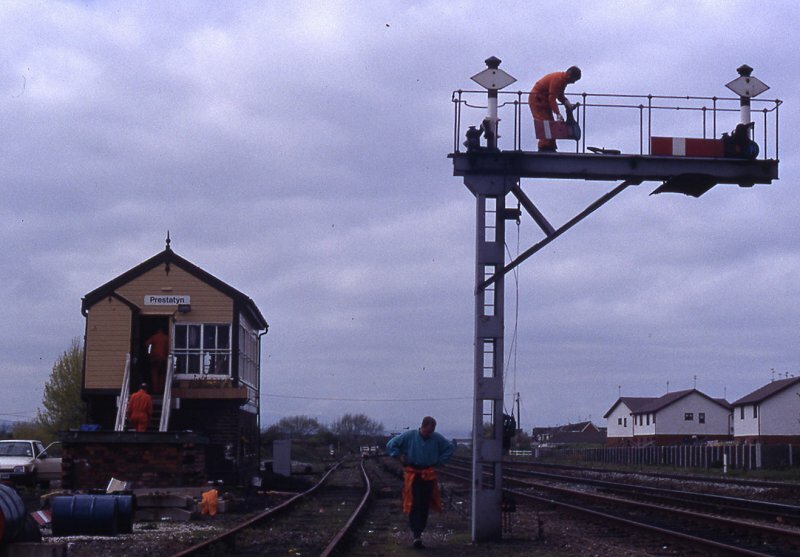 This had been removed during relaying operations two years earlier and the signal box was then redundant. It is seen here being passed by 20069 and 095 on an up ballast working from Penmaenmawr on the 22nd of March 1990. 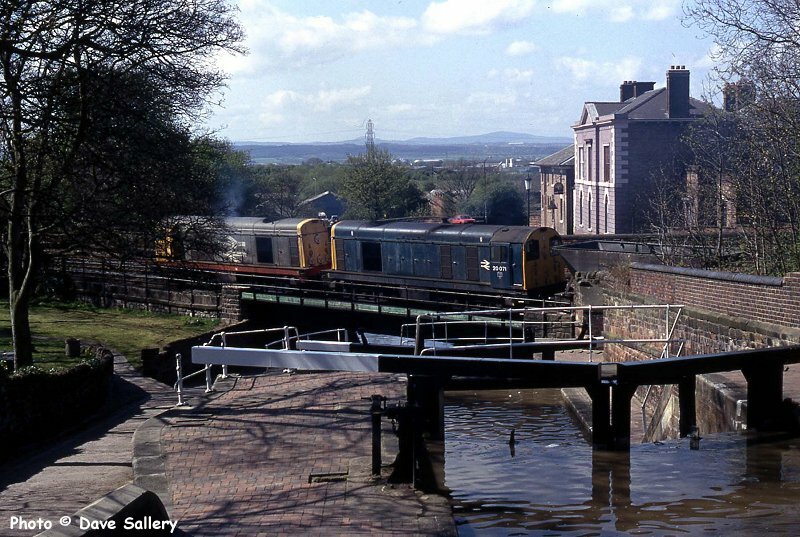 20023 and 071 on an MGR to Point of Ayr at Chester locks, 12th April 1990. 25912, 47186 and 47355 on ballast train duties at the east end of Rhyl station, 1 September 1986. 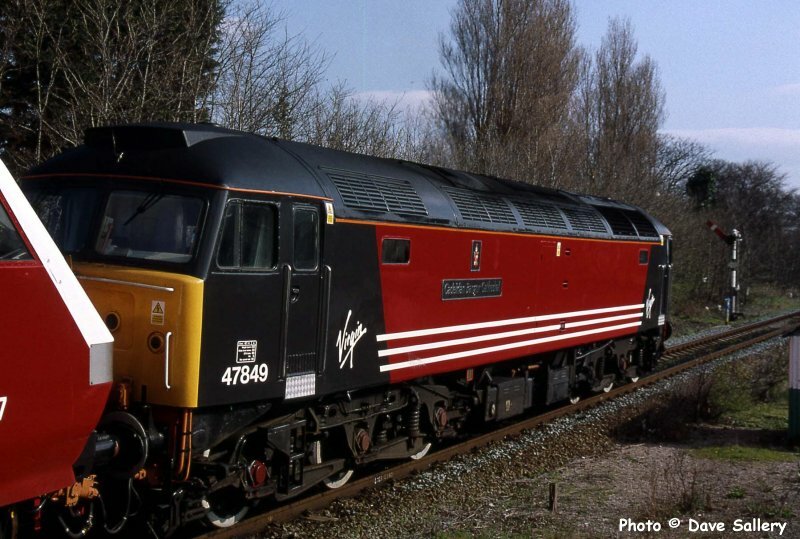 47849 "Cadeirlan Bangor Cathedral" at Prestatyn shortly after the naming ceremony in Bangor, 29 March 2000. 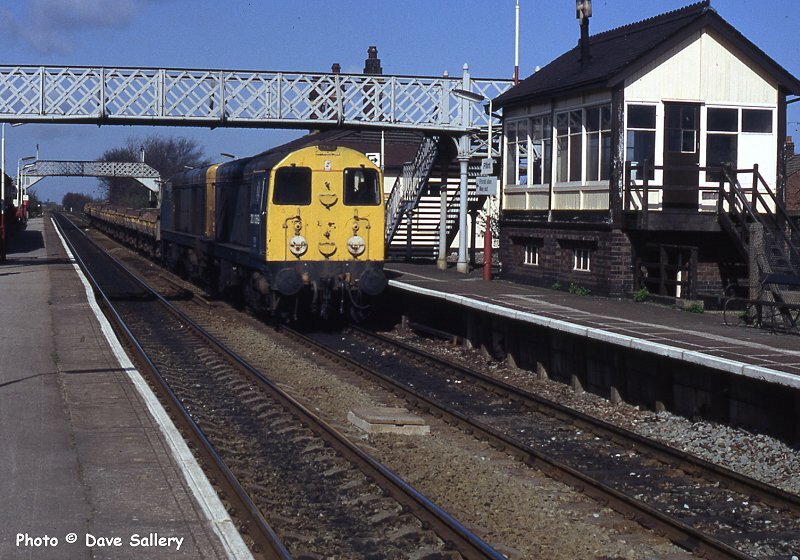 The end of an era at Prestatyn as the down slow line is taken out of use, 29 April 1990. It took a further 18 years for the by-now arm less gantry to be removed however! 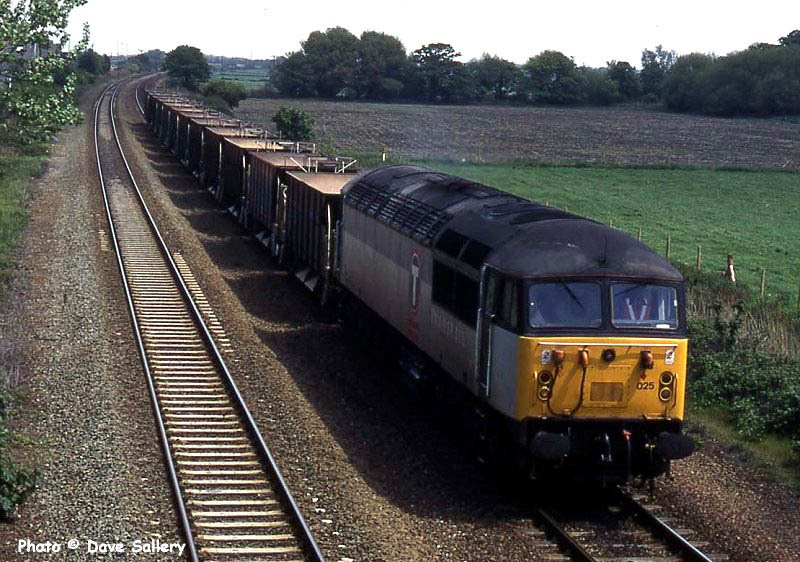 56025 on a ballast train to Penmaenmawr near Prestatyn, 29 May 1986. 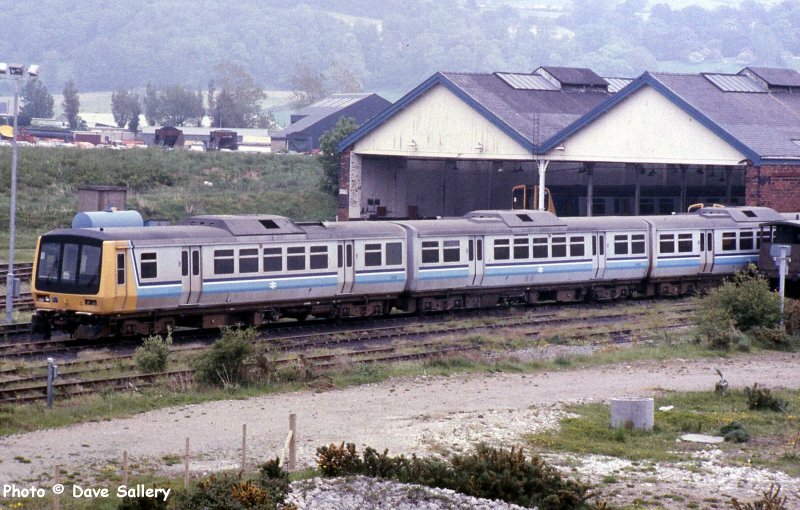 The two prototype Class 151 units were stored at Llandudno Junction for a number of years. Also visible in this view are two Merseyrail units in the shed. 21st May 1992. Derby Research Dept. 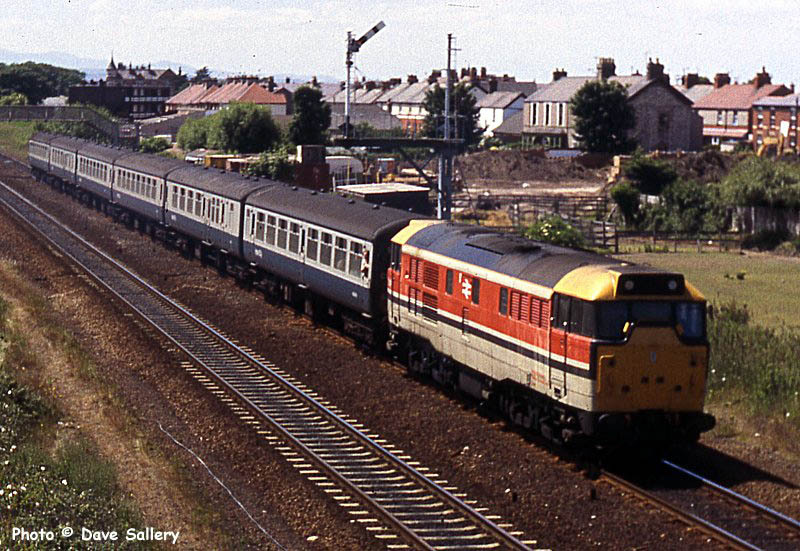 Class 31 97204 leaves Prestatyn on an up working, 24th June 1989. 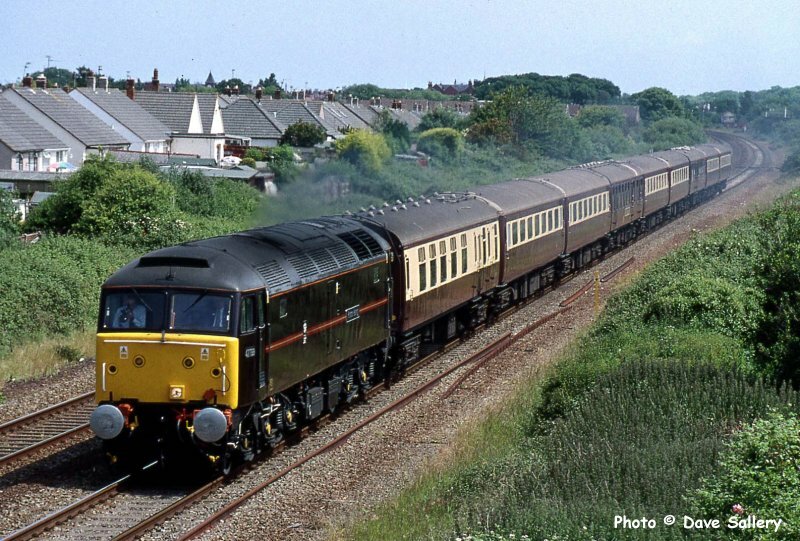 47799 passes Prestatyn on a Northern Belle working, 22 June 2001. 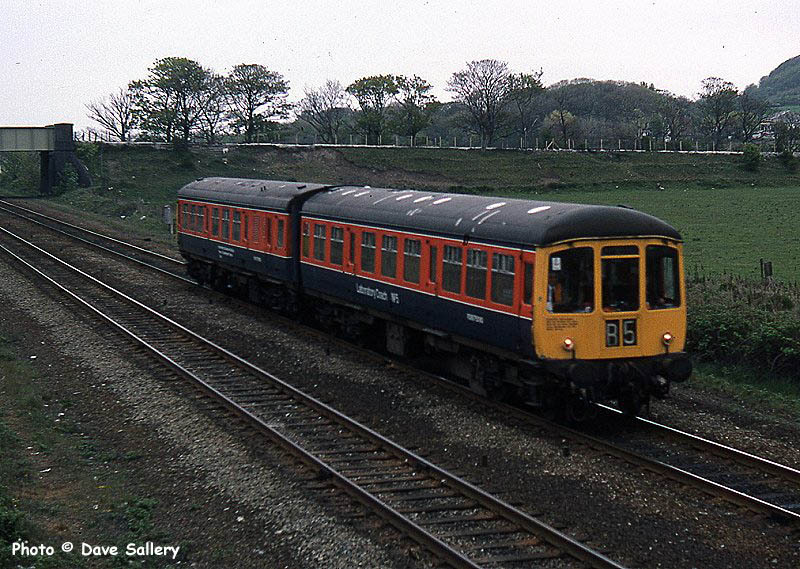 The Park Royal DMU laboratory set passes Prestatyn, 9th May 1984.